For a party, decoration is one of important aspect to think about. Decoration is useful to make the party cheerful and pleasant for the guests. The party atmosphere can be created perfectly through this venue decoration. No wonder that bridal shower decoration ideas should be discussed well long time before the big day. 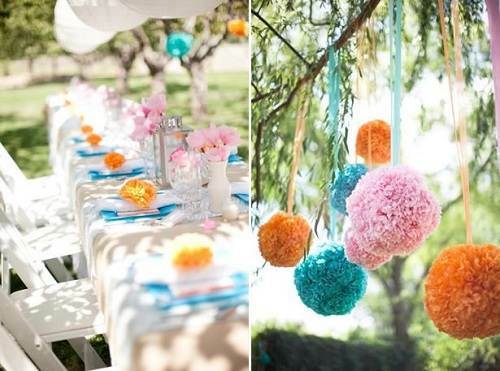 During this summer, it is better to think about some outdoor bridal shower décor concepts. This topic may be imperative to observe because we have to mix nature and synthetic items elegantly at the same time on the bridal shower decor. Choosing a specific theme is the first action which should be done before decorating the bridal shower venue. The theme is a simple thing yet essential to help us deciding a good decoration concept at a bridal shower party. 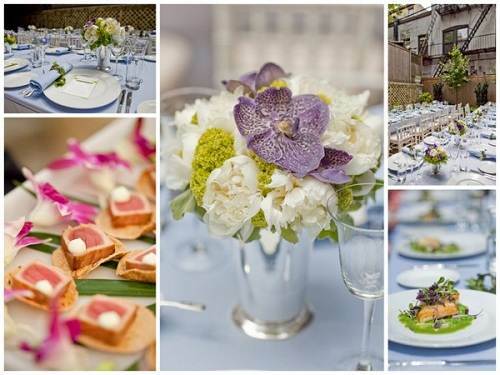 Throwing the bridal shower outside the building can give you fresher look through the nature creation including pond, trees, grass, pebbles, soil and flowers. 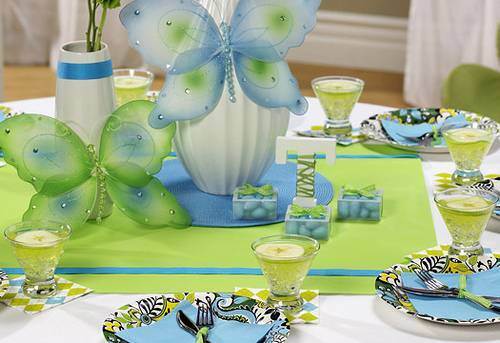 Thus, why don’t we benefit those nature items to create a gorgeous bridal shower decoration? Of course we can not move some big trees which have grown in your garden or backyard. At this rate, we should decide the best place where we can place some tables, menu table, entertainment spot and dancing floor. Think creatively to arrange some tables under the trees. It is functional to keep at a right distance between hot sunlight and the guests who sitting beneath the trees. 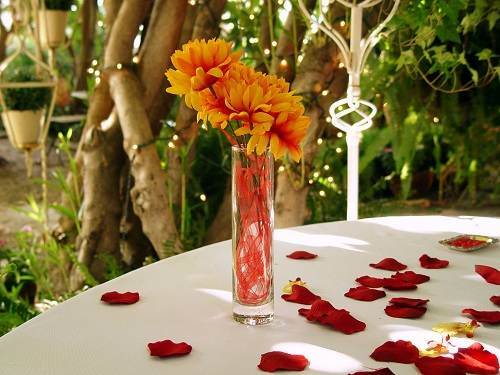 Colorful flowers may be placed at the same pot or vase as a beautiful centerpiece on each table at the bridal shower. We can add some items such as lantern or paper craft as additional bridal shower decoration. And then it is better to hang them on the tree branches or strings which have been installed above the bridal shower venue. Choosing a color to be a theme is a good solution in decorating a venue. For example, we can take red and orange for energizing bridal shower. Or we can mix blue and pink as basic colors of chic bridal shower. We can also use some motif to display the theme concept such as butterfly pattern for butterfly garden themed bridal shower.